 Quality Work And Excellent Service - Fergusons Tree Care, L. L. C.
Our company is your most reliable tree care and stump grinding service in the Baton Rouge and surrounding areas. With over 35 years combined experience in the commercial and residential tree business, we can help create, manage, and maintain any property. We specialize in the removal of any type of tree, bush and pesky stump. Any tree that is located in a dangerous area, such as over power lines or hard to reach places, allows us to call in our crane equipment for a safe removal. We have a fabulous team of experts and licensed arborists who work hand-in-hand to bring you the satisfaction and professionalism you are expecting and looking for. We follow the philosophy that each tree and stump is unique therefore, we provide each client with a personalized plan to fit the needs and budget of all parties involved. Ferguson's Tree Care L.L.C. has been proudly serving the Baton Rouge and surrounding areas for over 15 years. Every project we undertake is unique and we want to capitalize on our professional and educational skills to deliver top quality services because our customers deserve nothing but the best. We offer a wide variety of services and in conducting each service, we want to make sure that you are educated as well. Ferguson's Tree Care, L.L.C. strives to provide you with exactly what you are looking for, so when you call us, and your not exactly sure what a term means, you now have the ability to learn here from our website. Because we work with homeowners, large communities, and businesses we remain focused on the individual needs of each client. Should a special need arise, we have the capability of pulling our resources from other fields of community established partnerships and work hand-in hand to continue to maintain our reputation and work ethic. We are proud of our work and growth and we would like the opportunity to show you how wonderful we can make your property look! Listed below are the senies that we offer. Although we do no go into details about all of our services and the meaning of them, we have listed some definitions and techniques of some of the most common jobs and inquiries. We hope that you find these helpful. Ferguson's Tree Care gave me the best price on stump grinding. I had 33 stumps and after calling several companies, I got the best price and exceptional service.